One of the less hiked trails in the Park, however one of the most spectacular views we could get, because if weather permitting, we could see both mountain ranges, Cerro Torre Range and Fitz Roy Range! Also, if Mother nature allows we could see the famous Wind Pass with Mariano Moreno range in the Back (mountains in the southern continental ice cap). If physical condition of participants allows, we will be able to get to the top, not technical: Loma del Pliegue Tumbado. On the last ascent, we would be able to find any fossil: Belemnnites. From the top, we can even see the town, El Chalten. Instead of going back the same, we keep hiking on the ridge until finding Agachonas pass. There we descent into Fitz Roy River Valley, most known like Cerro Torre Valley. We reach the river we cross it by the TIROLEAN (zip line over the river), arriving at Laguna Torre. 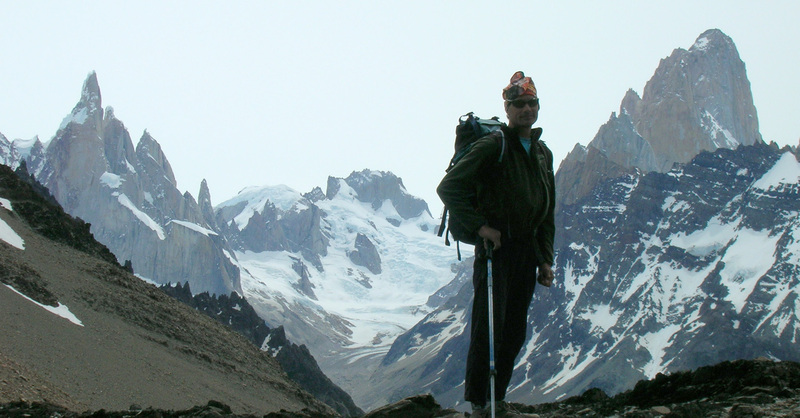 We take this path back to El Chalten Length: 10 hours aprox., 20km, and elevation gain & loos of 1000 meters.